Wildlife photographers Carl R. Sams II & Jean Stoick are the authors of the award-winning "In the Woods" children's picture book series. Their most famous title, "Stranger in the Woods" has changed their lives and touched the hearts of children and adult all over the world. Their new book, "I Am Africa" allows them to share gentle lessons of nature from the continent of Africa. As in all of their work, they strive to inspire children to love and appreciate the natural world. 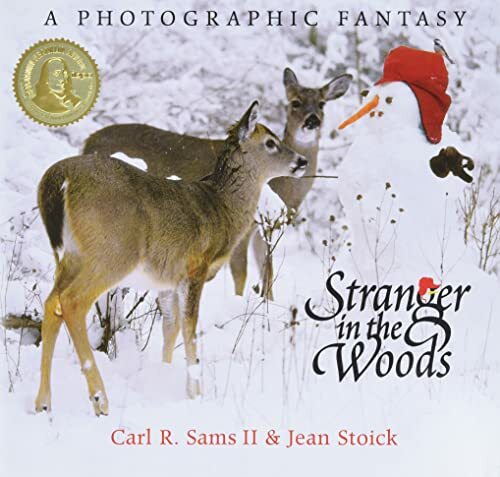 Jean Stoick is an award-winning wildlife photographer and co-author of the New York Times best-selling "In the Woods" series of children's books. Wildlife photographers and authors of beloved "In the Woods" children's picture book series including "Stranger in the Woods," "Lost in the Woods" & "First Snow in the Woods"